Our reset360 Deluxe Detox Kit is a combination of our reset360 Basic Detox Kit plus our reset360 Control Kit, which is recommended for accelerated Detox results. Dr. Sara's new book, The Hormone Reset Diet, sets forth a revolutionary 21-day hormone balancing detoxification program. 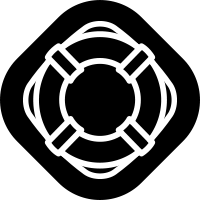 The program calls for a daily "approved" reset shake, increasing fiber intake, and detox supplements✝ . 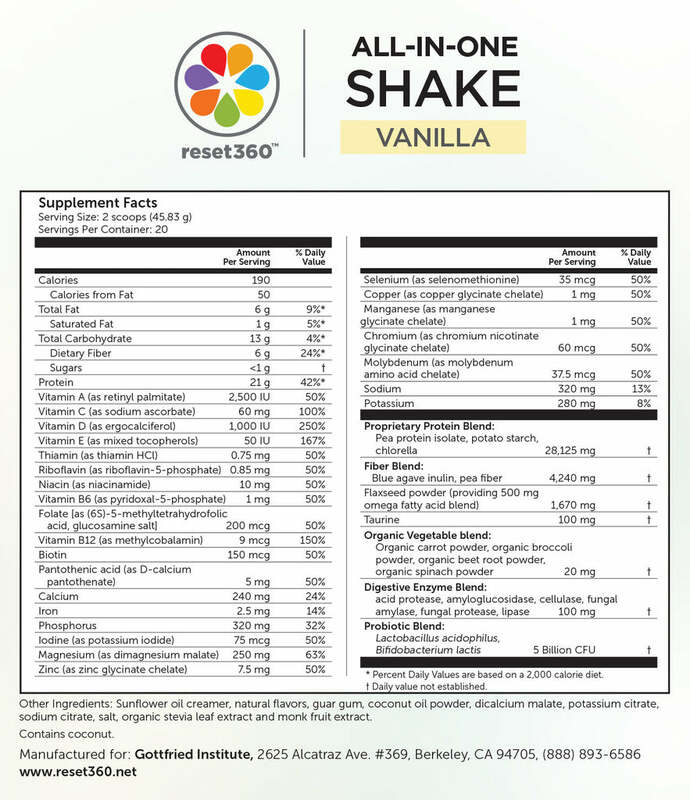 Our reset360 Deluxe Detox Kit supplies everything you need to perform Dr. Sara's 21-day Hormone Reset Detox (and Diet). Our Deluxe Detox Kit provides you an additional layer of support to help curb sugar cravings, support cognitive function while balancing hormones, and to help reduce the absorption of carbs with three additional products✝: Carb Control, Crave Control, and Omega Love. 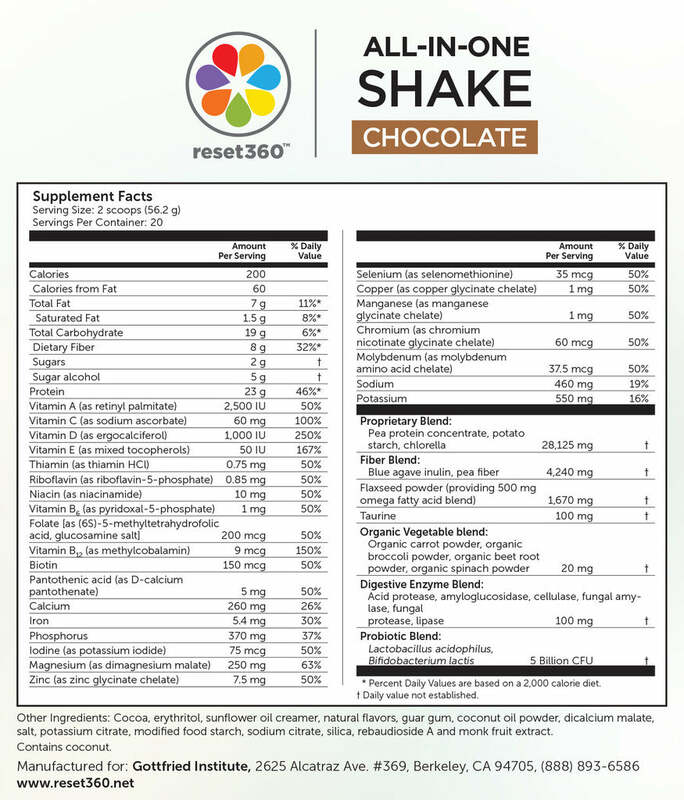 reset360 All-in-One Shake: Mix two scoops in 9-10 fluid ounce of water or preferred beverage and drink daily or as recommended by your health care practitioner. 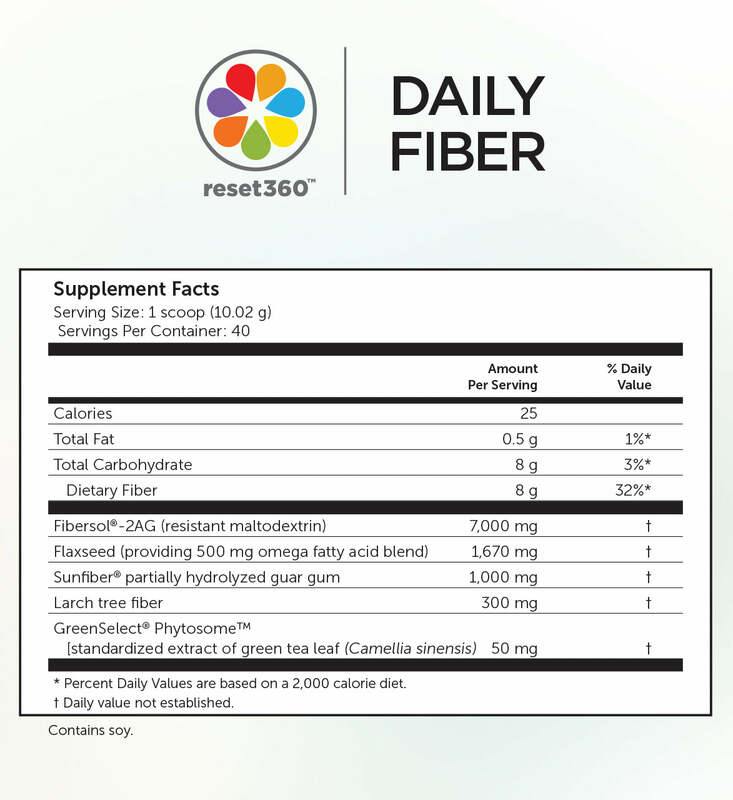 reset360 Daily Fiber: Mix 1 scoop with 8-10 fluid ounces of water or preferred beverage and drink daily, or as recommended by your health care practitioner. 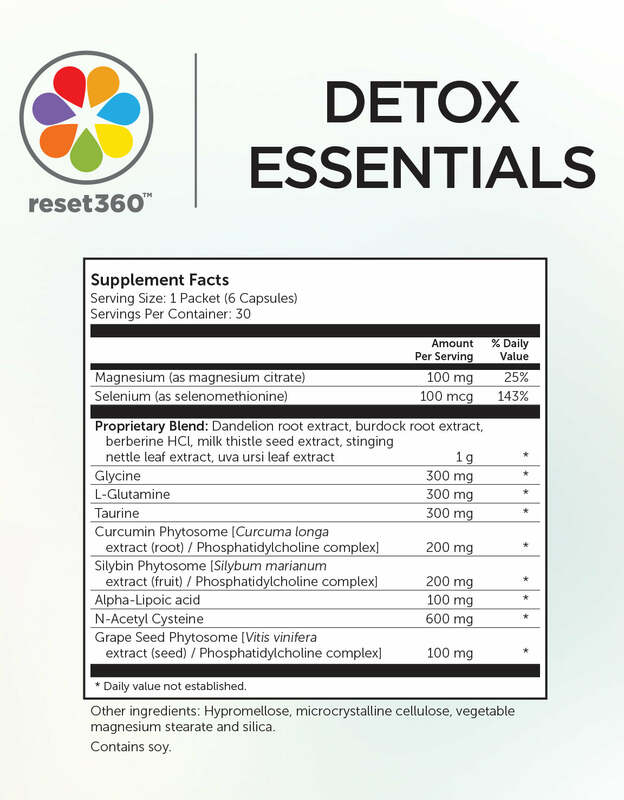 reset360 Detox Essentials: Take 1 packet daily or as recommended by your health care practitioner. 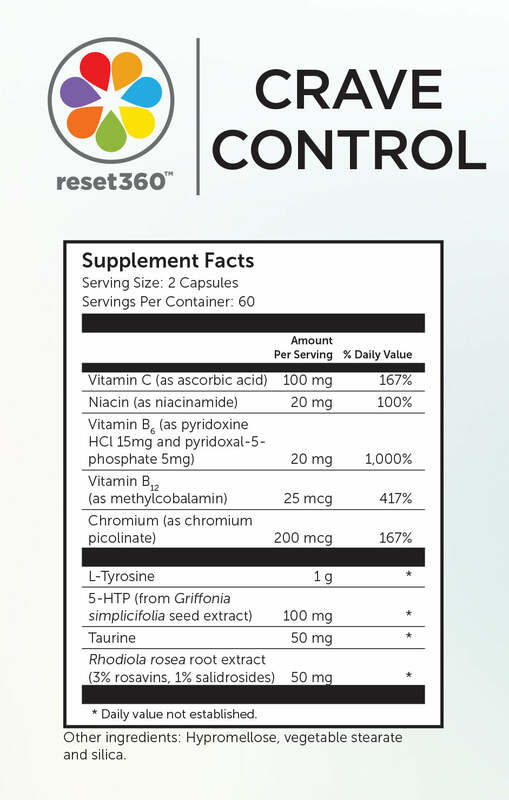 reset360 Crave Control: As a dietary supplement, take 2 capsules per day on an empty stomach, or as directed by your health care practitioner. 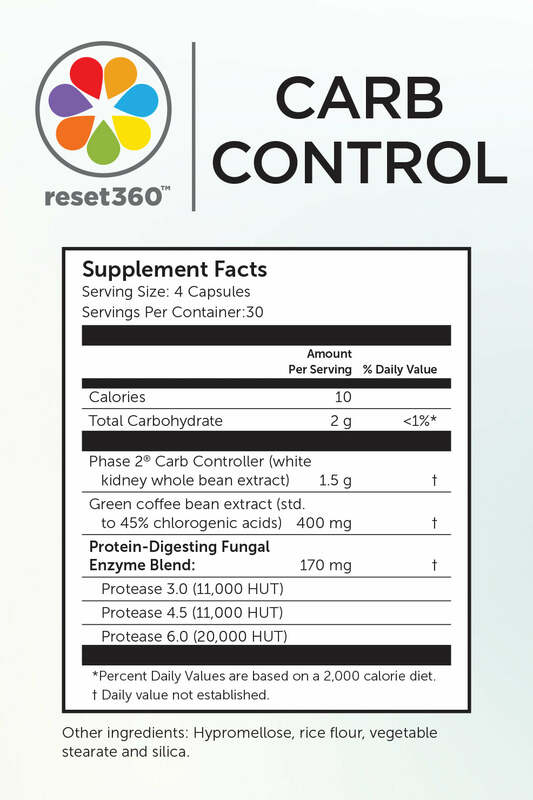 reset360 Carb Control: As a dietary supplement, take two capsules 30 minutes before meals containing carbohydrates, or as directed by your health care practitioner. 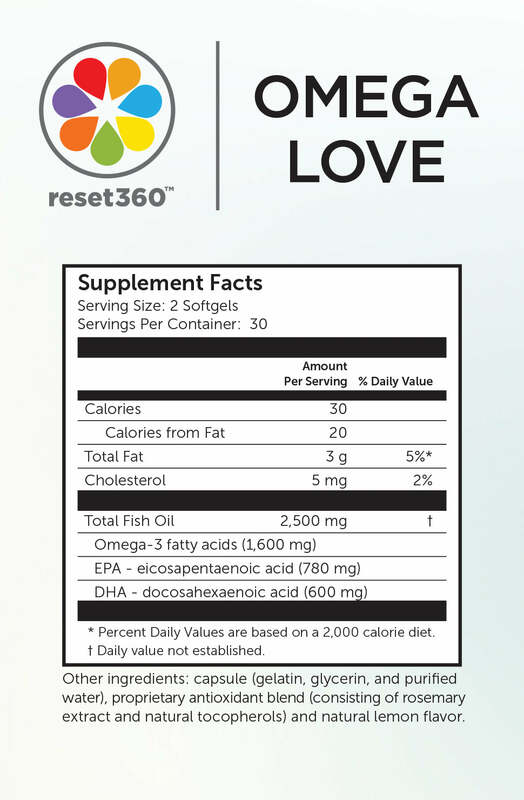 reset360 Omega Love: As a dietary supplement, take two softgels per day with meals, or as directed by your health care practitioner.